This blog post is part of our Customer Spotlight series. Throughout the series we highlight Chargify merchants and the lessons learned as they grow their subscription-based business. In the past 3 years, MacStadium has experienced a more than 5000% growth rate. I’m rarely speechless, but I admit to emitting a jaw-dropping silence the first time I heard that growth rate. Over 5000% growth rate in just a few years?! MacStadium is the largest Mac hosting company on the planet. Last year the company was named #20 on the Deloitte Technology Fast 500™ and #44 on the Inc. 5000 List of America’s Fastest-Growing Private Companies. How did a startup founded a mere 5 years ago grow to become the largest Mac hosting company on the planet? I sat down with MacStadium CEO Greg McGraw to find out the secrets behind their incredible growth rate. A lot of the business’ success starts with a clear problem/solution fit. McGraw and co-founder Jason Michaud realized an important problem in the hosting market and created an innovative solution to fix it. The problem? Several years ago Apple got out of the enterprise server space and evolved into more of a consumer electronics company. For developers creating iOS applications that presented an issue: they couldn’t rent an Apple server to expand their development resources. Developers of Android applications can rent servers via companies such as AWS (Amazon Web Services), but none of those companies offered Mac hosting. MacStadium was founded in Atlanta, GA in 2012. Both founders were working at a traditional data center at the time, which helped lead to the realization they should utilize custom fabricated racks they built within the data center. MacStadium was incubated as a separate company from day 1. At the time there was only one company that was doing something similar, but there the customer bought the Mac Mini and then mailed the computer into the company and they put it into a data center. 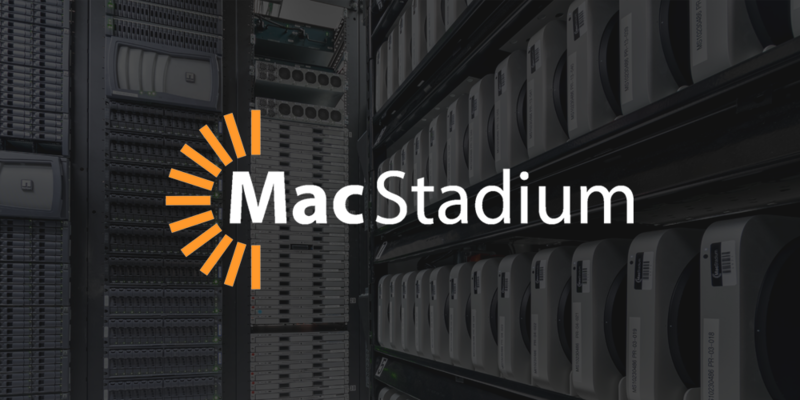 MacStadium’s business model stood out from day 1 because MacStadium owns the Mac servers “and then host and provides access to them on a subscription basis,” explains McGraw. As with any successful business, there were trial and error learnings that took place between the company’s launch and their massive success. The basics of the lessons learned are important lessons for all entrepreneurs. Initially, “we spun up a website, added some automation, and thought that people who were traditionally colocating their Mac mini would want to rent a Mac mini from us on a subscription basis. That was our original thesis,” says McGraw. What happened next surprised them. Large companies started contacting MacStadium to rent multiple Mac Minis or multiple servers. The feedback MacStadium received from those first customers helped them better understand their ideal buyer personas. “We started getting orders for 50, 100, and 500 Minis at a time. It really mushroomed from there,” says McGraw. Understanding the pain points MacStadium solves for those large companies helped guide their product roadmap and mission. Early on, MacStadium had a goal of automating a traditionally hardware-based business to make it easier for customers to gain access to their infrastructure and self provision. The company built their own eCommerce platform to handle the order automation, but they needed a billing engine to go with their internal solution. Enter Chargify. We went with Chargify from Day 1 because we realized we didn’t want to enter the recurring billing game, but we needed a best-in-class SaaS billing solution with API access to enable that automation of billing authentication. Utilizing their internal software plus Chargify allows for an automated experience that is quick and seamless for MacStadium’s customers. One example is their Mac Mini dedicated servers available with instant activation. McGraw explains MacStadium pre-loads the operating software, scripts, and IP addresses to the hardware. The hardware is already placed into a spot in the data center, powered up, and hooked up to MacStadium’s portal. Their portal is connected to Chargify, and hardware is made instantly available on the web. A customer today can go to the MacStadium website, put in their name and credit card, hit a button, and get instant access to a dedicated Apple Mac server in one of our three data centers worldwide. It’s completely automated. “In only a few seconds, they’re live with a physical Mac server,” says McGraw. Automation was key to becoming more scalable, but there was another factor that allowed them to scale: upgrading their storage. “Most data centers always had these large, spindle-based storage arrays, which are very expensive, slow, and they take a lot of power,” he explained. 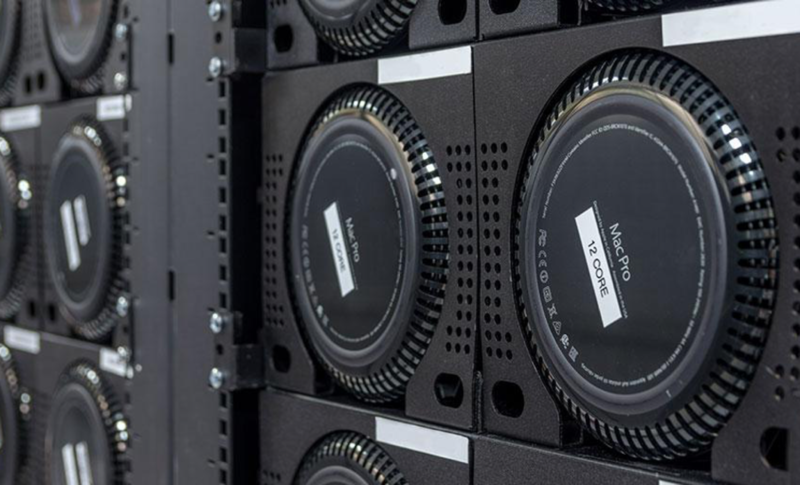 In the last few years, all-flash storage systems came onto the market and changed MacStadium’s business. What we have figured out through 5 years of trial-and-error and innovation is how to integrate traditional networks, traditional storage systems, and our patented rack infrastructure to recreate an Apple-as-a-Service hardware platform. 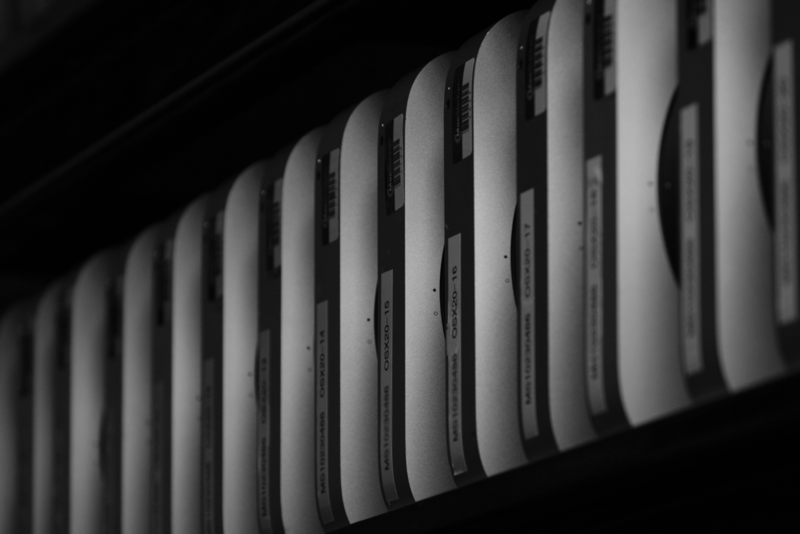 MacStadium has grown to be the largest managed hosting provider of over 10,000 Mac Minis and Mac Pros in the world, with more than 2,500 customers from over 55 countries around the world. Automation remains key to their success, and Chargify is deeply integrated into their automations. “Being able to have multiple Chargify Sites, one in USD and one in Euros, has allowed us to retain and grow our Chargify deployment worldwide,” says McGraw. Yes, they’re global. In 2014 the company took an angel investment round with the goal of opening a data center in Europe and to increase their marketing. The European expansion happened in 2016 with the opening of their Dublin Data Center and International HQ. They also now have a data center in Las Vegas, Nevada, providing a foothold for the western U.S. in addition to the eastern foothold already provided by the Atlanta data center. Last year they acquired Macminicolo and brought on the company’s CEO, Brian Stucki, to head MacStadium’s marketing department. With the marketing expansion they were able to increase paid ad spend, tradeshow presence, sponsor more industry meetups, and get more exposure on complementary software platforms. The company doesn’t have an outbound sales team, yet. 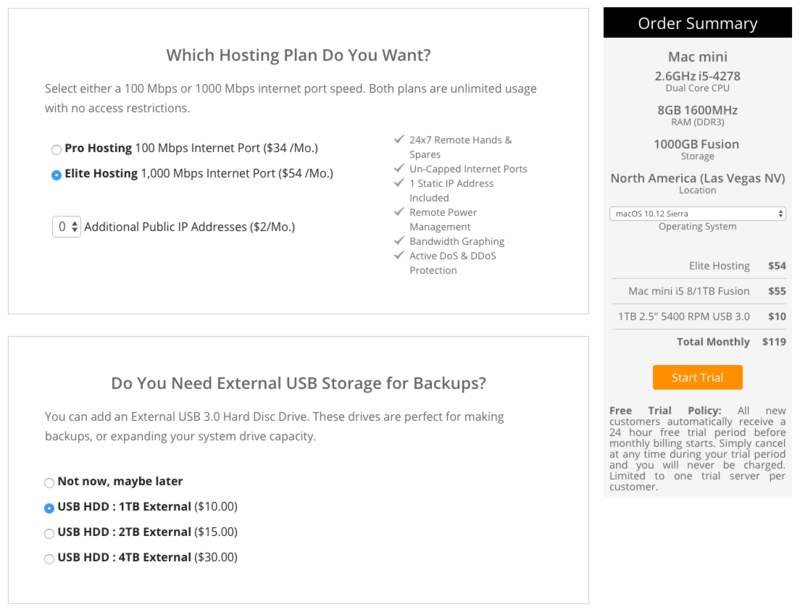 MacStadium is in a league of their own — when someone finds out they offer high-quality, reliable Mac hosting they come directly to the company. Sales are fueled by both new customers and scaling of their existing customers. A customer may start off with a single Mac Mini server subscription, but as their own business scales so does their need for more servers. Having already experienced a jaw-dropping growth rate of more than 5000% in the last few years, what’s in store for MacStadium’s future? “We fully expect to continue on that trajectory to deliver a Mac based solution for the over 10+ million and growing iOS software developers worldwide,” states McGraw. The company will continue to accelerate their business model, and they have plans to open a data center in Asia by the end of 2017. Their innovation, automation, and crystal clear understanding of their target customers have rocketed MacStadium to their position as the leading managed Mac hosting solution for customers around the world. To learn more about MacStadium visit www.macstadium.com.